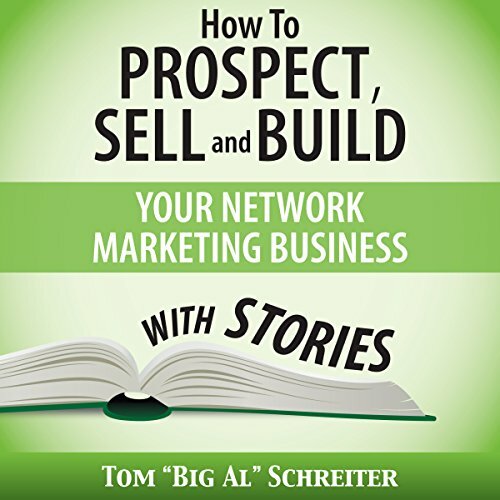 In network marketing, the easiest and most comfortable way to prospect, sell, and sponsor, is with... a story. Facts are boring. Everyone represents a company with great facts. Our prospects have heard that all before. But with a story, everything changes. The prospect becomes involved in the story, and instantly sees what you see. And isn't that what you want? So forget the flip chart, the presentation book, the website, the PowerPoint, and the video. These are great tools after your prospect has made the mental decision to do business with you. Instead, use stories to get that "Yes" decision. Then you can do your regular boring, fact-filled presentation, but use this presentation as your new distributor's first training session. The difference is monumental. 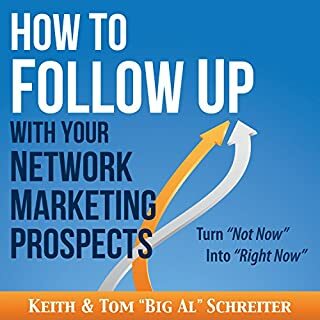 Instead of detailed explanation (facts) about what stories do inside your prospects' heads, I focused this audiobook on the actual stories I use, word for word. You will love these stories, you will use them often, and you will definitely enjoy the increased success in your business. Join the top earners now and become a professional storyteller. 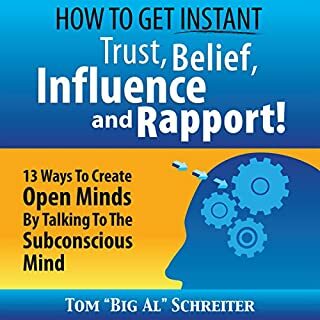 dear reader if this is the first time that you are looking at this book or if you've been in the business for a while I highly recommend this great inspirational reading, As well as tools for your arsenal. it has definitely helped me in realizing what I've done wrong and what I can do better he progress myself in the industry. I enjoy a thing from "Big Al". There is a simplicity to the subject matter that makes it seem like common sense afterwards. I recommend this book to anyone who is looking to step up their game. Forget the rest, listen to the best! What did you love best about How to Prospect, Sell, and Build Your Network Marketing Business with Stories? Very informative, concise format that allows for discussion, rejection free! 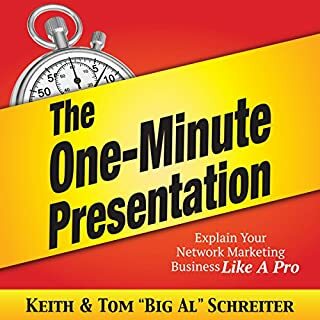 What was one of the most memorable moments of How to Prospect, Sell, and Build Your Network Marketing Business with Stories? Have you listened to any of Dan Culhane’s other performances before? How does this one compare? Yes, as good as the rest. Tom's stories provide the "Ah-ha" moment with respect to talking to people. Tom is funny and engaging, a person who is out to do good. Take my advice, listen to what Tom has to say. You will not be sorry! I'll listen again within the next few months! Great to listen to if you're starting out with network marketing! I could not turn it off. I hear it again!! I would share it with anyone who is in network marketing. 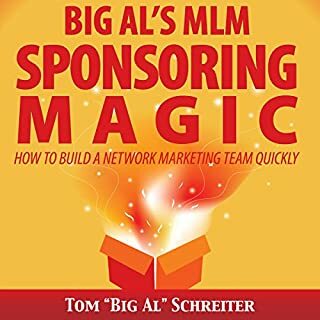 Good book and a need to help you network. Story telling is a skill. I would suggest this book to my team. 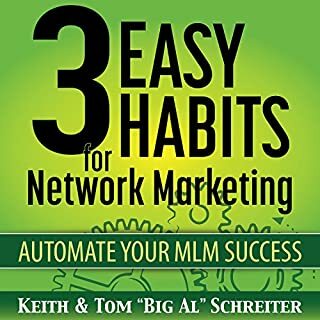 Great book to get you going in network marketing. You will want to listen again and again! Great education and self development book. Anyone in the business should read this book. survey should not ask for minimal words. found it very useful and easy to listen to. woukd definately lol at others in the series. This is another piece in the puzzle of building a network marketing business. I will be purchasing other books from this author. If there's one thing I know whenever I read or listen to a Tom Scchreiter book or article it's that I will learn something new. Well I've learnt so many new things from this 2 hour audio my head is spinning. The main thrust is that we need stories to educate and inform people - not loads of info and data! Data and info can put ppl to sleep, whereas if you capture ppl's imagination with a good story, they're more likely to keep listening - which is what we want. So if you a dithering abt getting this book, dither no more - it's def worth the price, esp on audio or kindle which is less expensive than print. Not convinced yet? Here's his story explaining why we have to be specific in our goal setting: A woman sees a beautiful mirror in her local antique shop and enquires about its price. the shopkeeper tells her it's £5000. "£5000," she exclaims "what is it? Magic?!" "yes" he says "you look into it and ask for whatever you want and you get it. she tries it out and it works so she buys it and takes it home. Her husband is enraged; five thousand pounds for a mirror - are you nuts?! so she stands in front of the mirror and says "I want to a full length fur coat". immediately a fur coat appears around her shoulders. she smiles at her hubby and leaves to show the coat off to her neighbours. when she's gone, he stands in front of the mirror and says "make me irresistible to women." Immediately he turns into a bottle of perfume. Go from failure to success! 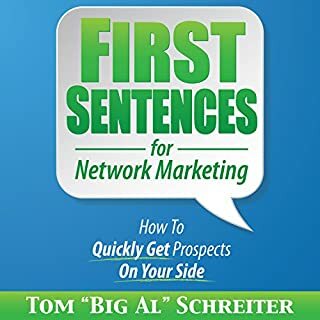 Listening to this book,and his others, over the last 3 weeks has given me the tools I need to take me from failure in 5 past network marketing businesses to complete confidence I can succeed in my latest network marketing company. Thank you,BigAl.